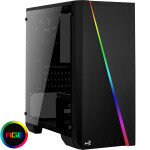 The CiT Zoom is a Mid-Tower PC gaming case with a full black interior and exterior complemented well with a full tempered glass left side panel and a front panel that includes two Rainbow RGB strips adding style and personality to your chassis. 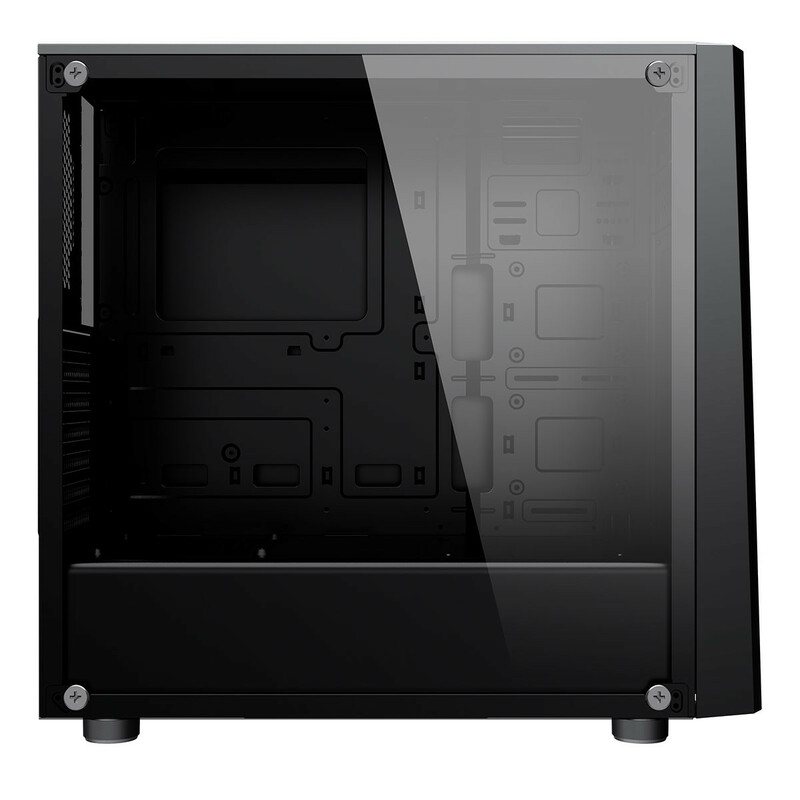 With room for up to four fans the Zoom is designed with cooling in mind and with room for a 120mm radiator at the front as well as a 120mm radiator at the back this case really will cool any components you require. 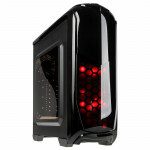 Located on the top of the Zoom is an LED button to easily change between the different modes of the LED strip. A 3pin addressable AURA connector is included which can be connected to a compatible motherboard allowing you even more control over the colours the LED strip produces. 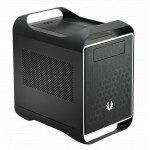 The top of the case comes with the usual USB2.0 and USB3.0 ports allowing you to connect to most media storage devices. 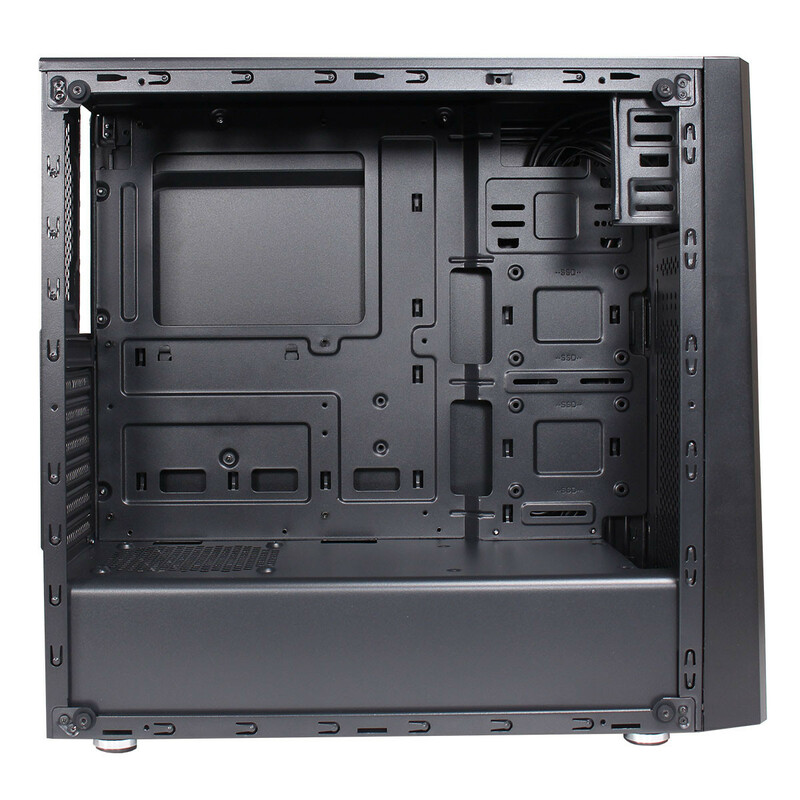 Need a budget friendly rig then this might be the chassis for you. •Design - The Zoom features a luxurious black interior/exterior and two Rainbow RGB LED strips running down the front panel offer professionalism and personality to your chassis. 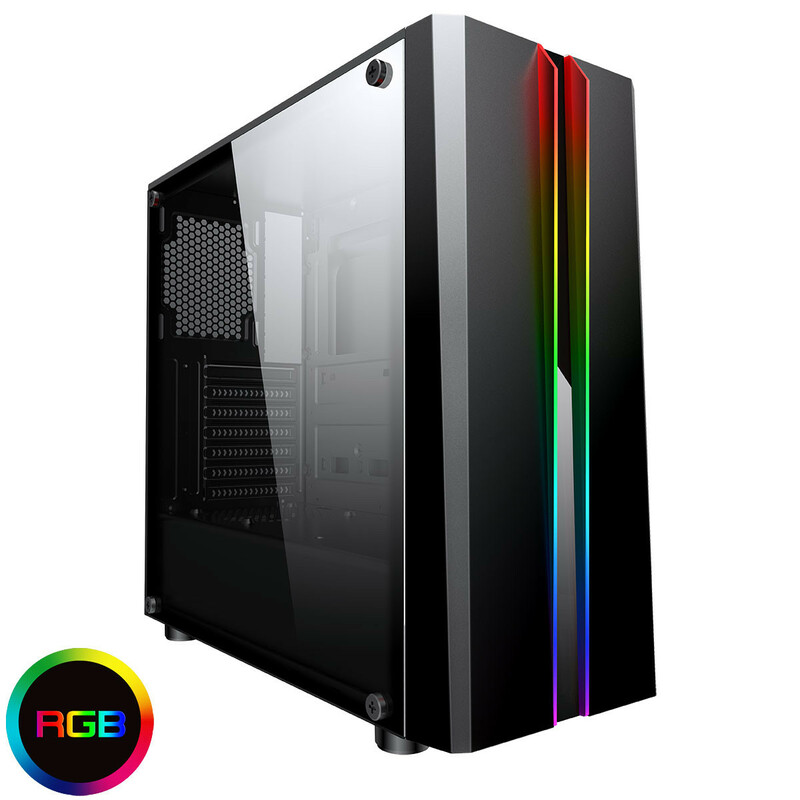 •Tempered Glass - The Zoom has a full left side tempered glass window allowing you to show off your internal components. 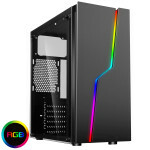 •3pin Addressable AURA Connector - The rainbow RGB strip can be powered using a 4pin Molex connector for universal use and controlled via an LED button on the top of the Zoom. 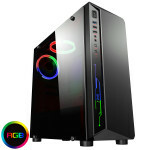 It can light up the Rainbow RGB strip with 8 different colour modes. 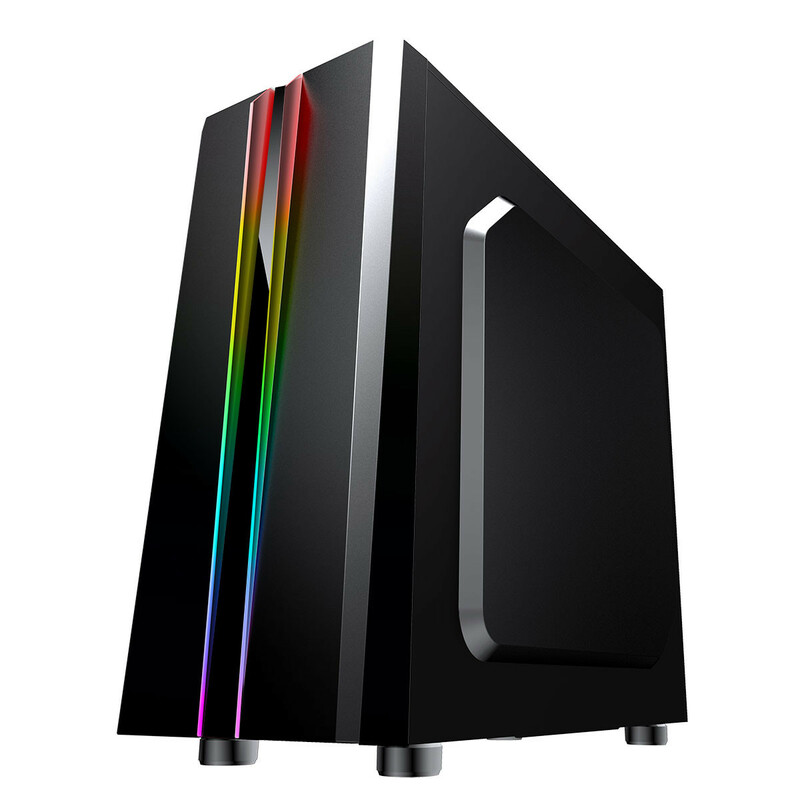 If that is not enough a 3pin addressable AURA connector has been included to allow you to control your Rainbow RGB strip through software, giving you unlimited options! 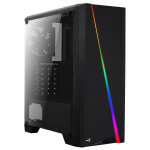 •Watercooling Support - The Zoom offers excellent cooling support which is enhanced further with room at the front and back for a 120mm radiator. 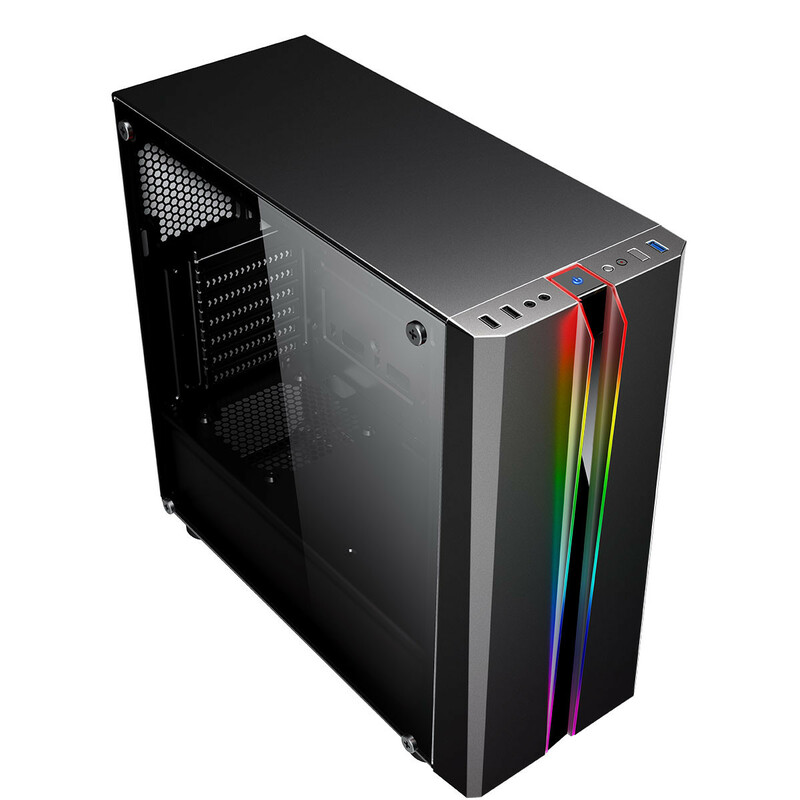 •Cooling Fans - With room for up four fans the Zoom can fit 2 x 120mm fans at the front, 1 x 120mm on the PSU shroud and 1 x 120mm at the back. 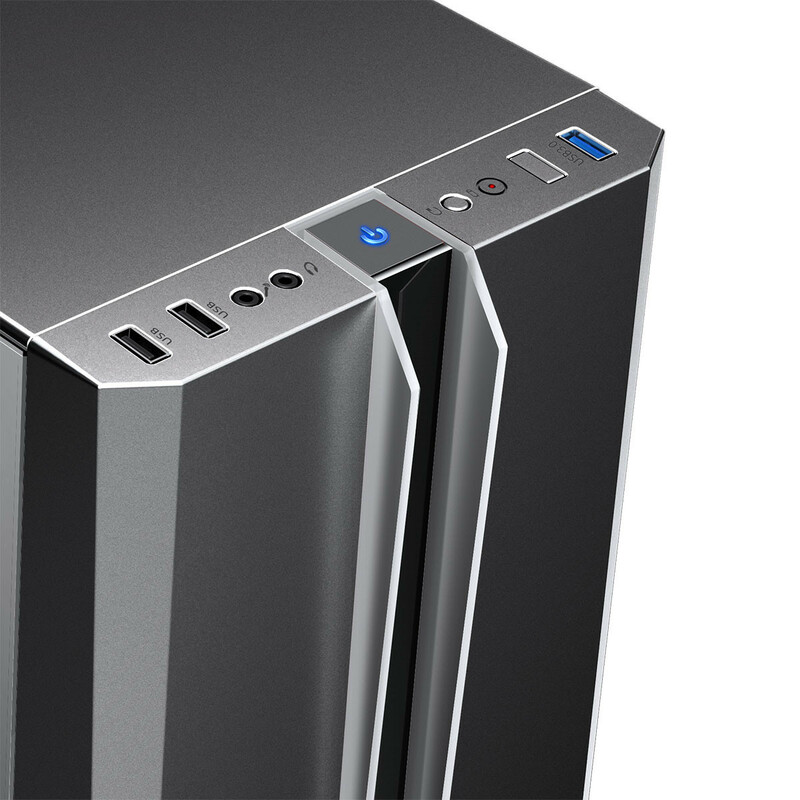 •I\O Ports - The Zoom comes with the standard USB ports, 1 x USB3.0, 2 x USB2.0 and HD Audio. •Removable Dust Filter - A removable dust filter included at the bottom of the Zoom is included helps to prevent dust from getting into your build and helps improve the performance of your chassis.